I’ve been listening to Relient K since the end of 2002, and since then they’ve evolved into one of the most interesting and thoughtful pop-rock bands in the business. They’re one of my all-time favorites: From the catchy throwaways to the moving reflections to the sweeping epics, Relient K has covered a lot of ground and has been remarkably consistent. Here are my picks for Relient K’s fifty best songs. It was tough to include everything I wanted. I had to leave a few favorites by the wayside, but I don’t think you can go wrong with any of the fifty included here. This year’s Relient K release is a bit hollow, but one of the standouts is the calypso-flavored “Can’t Complain.” Thiessen sings about taking your lumps and keeping positive. Hidden at the end of their sophomore release is a pretty, rambling track that sounds nothing like any of the tracks that came before it. The sing-along chorus cites humility, and the brief orchestral fade-out is striking. 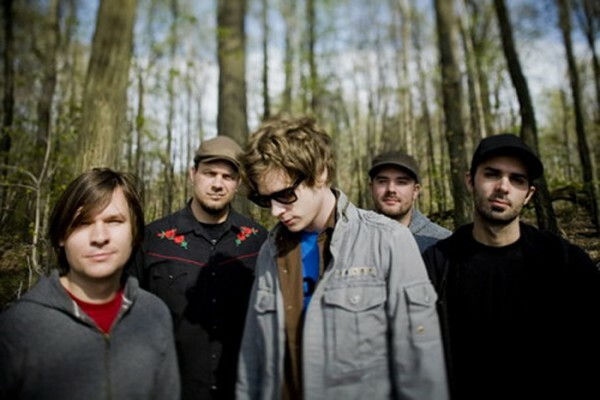 Featuring Thiessen’s friend Owl City (and his trademark electronic-pop sound), this catchy bonus track for the otherwise dense Forget and Not Slow Down foreshadows the poppy direction the band has taken in recent years. One of RK’s most intense tracks, I Need You boasts some truly fantastic verses to accompany its discordant, grating chorus and guitar riff. “It seems like everything is dying at the pivot point of me” — Matt processes loss in his life by trying to convince himself that he’s better off without this emotional dependency. One of a few unpolished, acoustic tracks to live up to the standard set by RK’s studio albums, “Curl Up and Die” features a simple sonic palette of acoustic guitar and some gentle strings. It’s a highlight of the post-Five Score EP. Though a bit inert during its first half, “Let It All Out” builds to a therapeutic, powerful climax (plus a harmonica-infused coda). It was the band’s first attempt to capture the post-breakup emotional ache — which they would spend an entire album contemplating five years later. The only track from the band’s self-titled debut on this list. Thiessen’s songwriting voice was still in its early stages, but the ambitious soft-loud dichotomy and pleasant guitar groove is about as compelling as anything from their first two albums. Five Score is by and large a pretty warm album, but a few of the tracks, like “Devastation and Reform,” use a harsher sound than anything we’ve heard from RK before or since. “Devastation and Reform” chronicles self-destructive tendencies. This downbeat, folksy track gives us a personal look at Matt Thiessen’s romance with Shannon Murphy being worn down by the road. Good foreshadowing to the romantic collapse chronicled in Forget and Not Slow Down. A standout from the brilliant Two Lefts. The piano interlude shows the band maturing and Thiessen expanding his songwriting repertoire to more varied, interesting pieces. After a banjo intro, the leadoff track from the band’s massive EP/B-side collection launches into a high-energy romp. One theme that pops up frequently in Relient K’s music is a criticism of people who play mental games with each other and don’t communicate what they feel. This song is the best example of that (surpassing the silly “Gibberish” from Two Lefts). The polish and production here blows away anything from earlier in their career. Relient K sounds like they’re in the big leagues here. (“Come Right Out and Say” It also features my favorite pronunciation of the word “inevitable”). Relient K revisits their long-abandoned well of pop culture-reference songs with this bonus track from their latest album. If the rest of the album was this catchy, I wouldn’t care how shallow it is. Until this year, the Two Lefts was the most straightforward pop album by RK, the first half of which is filled with catchy and goofy numbers like “Mood Rings,” which could have earned its place on this list for the acoustic guitar coda alone. Weirdly left off the main track list, this iTunes bonus track that came with the “Must Have Done Something Right” single is pretty fantastic. It’s a great “eff you” track, but — in true RK fashion — hints at a light of redemption at the end of the tunnel. After its slightly silly opening half, the second half of sloppy masterpiece Two Lefts features some straightforward stunners. Here, he cites the inclusive, healing power of nonjudgmental love. This 100-second song is a reminder of how warm and inviting the band can sound, and of how strong the bond between the two Matts is. What elevates “In Love with the 80’s” from novelty to a winner is the genuine warmth behind the nostalgia. Thiessen wonders semi-sarcastically “what could possibly go wrong?” when life is so carefree. One of RK’s most epicly-produced tracks. The chorus soars, and the piano/guitar backdrop evokes great ‘80s arena rock. RK’s greatest album pulses with gravity and mythology as it builds towards its heart-ripping conclusion. The loss is starting to break the narrator (Matt Thiessen) down as he grows intensely paranoid of the loneliness in his life. Predicting the polished, heavy sound of Mmhmm — as well as the focus on a crumbling relationship — “From End to End” has a great guitar riff and some thoughtful lyrics, along with some nice sonic flourishes (including a nice acoustic breakdown three minutes in). One of Relient K’s few attempts at a protest song succeeds in large part because it has so little to do with politics, other than the great line: “The nucleus of politics / is somebody started it.” The rest of the song pairs a great melody with some of the finest lyrics on Mmhmm about being worn down by your surroundings. “To experience the bittersweet / to taste defeat then brush my teeth” is one of my favorite RK lyrics, and it’s from one of the high points of their fantastic third album. The best parts of the song are the verses, with great backbeat guitar and “woah-oh” harmonies. This is probably the point where people should have started taking Matt Thiessen and Relient K seriously as musicians, their Christian ideology irrespective. This is a straight stunner ballad that could have been a top ten Billboard hit if the word “Jesus” wasn’t in the chorus. The whiny bridge (“Sometimes I feel like I’m not any good at all”) is overcome by one of Relient K’s catchiest melodies and an effectively emo take on self-motivation. Thank goodness Matt wrote an album full of love songs in between his two breakup-focused albums. It’s little surprise that someone with such a rich emotional vocabulary can write a truly uplifting love song. My one creative qualm — I think this song would be way better as a sparse ballad than its current state as a polished midtempo number. A winning take on the temptation of beauty. Comparing a woman to a bright light provides for some fantastic lines and images: “You’re just a moth drawn to a lamp.” Pair that with the distinct melody and guitar line, and you have a winner. “I know that it’s so cliche to tell you that every day that I spend with you is the new best day of my life.” Relient K has never sounded happier, Matt has never been more in love, and few pop songs have lyrics quite so adorable. Fantastic, ambitious track about having a crisis of conscience while driving down the road. And all of that’s before the warm coda, which features RK’s ultimate entry into the “is he singing about a girl or God?” pantheon. In his spare time, Matt Thiessen writes pop songs for the likes of Carly Rae Jepsen and his ex Katy Perry. It’s no surprise, then, that he writes a knockout pop track to lead off his first album in four years. “Don’t Blink” is sweet, warm, and upbeat, and it features perhaps RK’s best pop hook ever. Relient K has released acoustic versions of a bunch of their studio tracks, but none of them have really done much to alter or re-interpret the original… with one exception. The 2003 acoustic demo of “Jefferson Aeroplane,” finally given a wide release in 2008, turns an old album track into a cozy, sensuous treat. I wish RK had aimed for this sound more often. RK launches their third album with a simple song about cell phones, theme parks, and confused relationships. Yet it all builds to one of Relient K’s catchiest and most pleasant tracks, chock full of “na-na-na” harmonies and pop hooks. These three minutes never get old. These two tracks are cited as two separate songs on the album listing, so I’m arguably cheating by including them together, but they’re basically two halves to a whole. They’re the stunning, poetic climax to F&NSD: Thiessen comes face to face with his shame and loneliness, and emerges “nourished back to life by life alone.” Though not the band’s most melodic entry, it’s an absorbing and very satisfying conclusion to Relient K’s most resonant album. Relient K has more or less given up on straightforward love ballads, which is a shame, because they have a flawless track record with them. The high point of their excellent third album, “Getting Into You” combines Matt’s most heart-melting vocals and lyrics with a gentle, moving production. “Resurrect the saint from within the wretch” — Relient K kicks off their ‘09 instant classic with the unforgettable title track. It evokes the polished sound of Mmhmm but shows both the band’s sound and Thiessen’s writing as more developed and interesting than ever. The hook in the chorus is one of the band’s most engaging, and the forward-looking lyrics are always relevant (“I could spend my life just trying to sift through what I could have done better, but what good would it do?”). You probably don’t listen to Relient K for eleven-minute epics, but maybe you should. “Deathbed” is Matt Thiessen’s magnum opus. It’s a testament to the band’s ability to tell an emotive story with both their words and their varied music. “Deathbed” crafts a narrative of a man who lives and dies a lonely life, only to find redemption through Jesus. The tale is told with one knockout line and moment after another. Casting the dude from Switchfoot as Jesus was genius. “Our love is so alive” — Sweet, funny, dark, but most of all just weird: “Faking My Own Suicide” is an oddity and a masterstroke. On one level, it’s a warm but twisted country-tinged love song, on another it’s a retelling of Harold and Maude, and on another it’s an oblique analogy to the central Christian event: Jesus’ death and resurrection. A lot must have been going on in Matt’s head as he wrote this, but thank goodness he did. The title is a mouthful, but the song is perfection: punk pop at its finest. From the pantheon-level opening line (“I watched the proverbial sunrise”), to the blistering bridge, to the soaring chorus, to a memorable guitar riff, to the change-of-tempo ending, “Who I Am Hates Who I’ve Been” does everything right. The centerpiece of Relient K’s best album. “Savannah” is a masterpiece that just sounds better with each listen. Matt Thiessen imagines revisiting Savannah, Georgia with the fiancee who left him. He brings us through his personal agony, incorporating the “Baby” song he wrote to play their wedding before they split. He sings about romance first in the present tense (“I searched for all these years and now you’re right here”) before shifting to the past tense in the gut-punch conclusion (“Everything made sense when you were with me”). “Savannah” is an emotional tour de force. It would have been fun to go with an unconventional choice for the top spot, but, for Relient K, the hit single is the right choice. The guitar riff is a little plain, but everything else is perfect. The verses crescendo to each euphonious chorus, and the quiet “so were you” coda floors me every time. “The beauty of grace is that it makes life not fair” is the clever, vaguely Christian line that even my mom likes. But for me, the most unforgettable lyric is “I am a hostage to my own humanity / Self-detained and forced to live in this mess I made.” No song better captures the eternal, everyday struggle to be better than you currently are. On top of the great writing, “Be My Escape” also features a fantastic, symphonic production. Simply, this is Relient K’s best and most memorable song. Meh. I’m pretty sure I like all of mmhmm, forget and not slow down, five score, and two lefts more than it. I’m surprised to see Collapsible Lung at #4. I don’t think I even gave the album a second listen. Maybe I should check it out again. Yeah, I dig Collapsible Lung’s title track. Thanks for the link — I haven’t read it through yet, but it’s most definitely a topic worthy of discussion. Wow. The fact that “Can’t Complain” and “That’s My Jam” are actually on this list is sad. Top 50? And you include THOSE? 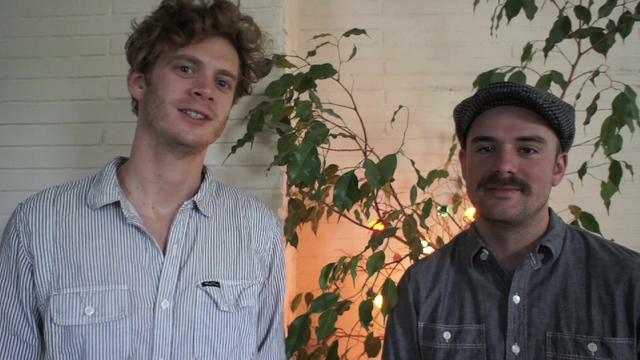 Relient K are skilled musicians in a lot of ways, including making catchy pop. It’s not as deep and thoughtful as their best music, but that doesn’t mean it’s not worthwhile, in my opinion. I’m pretty sure it’s a crime to place Deathbed at any spot that isn’t labeled “1.” Saying that it’s the best is more of a fact than an opinion. Not sure I’ve ever seen a song make so many people weep both tears of joy and sorrow – and both during the same listening, might I add. Aside from that, the rest of the list is fantastic. So many masterpieces! This is the best writing I’ve seen when it comes to reviews of Relient K’s music. I wouldn’t be surprised if Dan S. were a songwriter himself. Thanks K-Mac. I’m not a songwriter, but I very much appreciate the kind words! Only after creating my own “Top Relient K Songs” list did I stumble upon your list, vainly seeing where my entry fell in the Google rankings. This is quality stuff and super comprehensive. Thank you for the further insight and, as nearly everyone else has mentioned, excellent writing. It’s refreshing to know that other Relient K fans are paying attention to the fine details of their brilliant work. When are we going to get your thoughts on Air For Free? As a fellow superfan whose followed their career closely for longer than I can remember, I’d love to hear them! Personally I feel like there are a lot of throwbacks to older albums, i.e. Bummin’ gives a nod to the homelessness theme of “Forward Motion,” Mrs. Hippo picks up where Chapped Stick left off with the roller coaster park theme, and so much more. I will definitely post a review of Air For Free at some point. And I suppose I should update this list, too! No High Of 75!!!!!!!!!!!!!!!!!!!!!!!!!!! Crazzzzyyyy!!!!!!!!!!!! Yeah, in retrospect, it should be on the list… If I ever remake this list, I will probably include it.